4k00:15a hand hangs a New Year's toy on a tree Christmas and New Year Decoration. Abstract Blurred Bokeh Holiday Background. Blinking Garland. Christmas Tree Lights Twinkling. 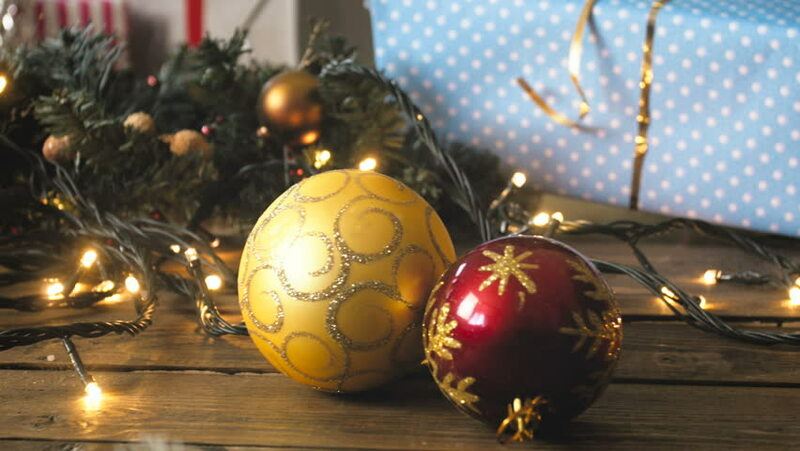 hd00:10Three Christmas tree balls, burning candle and trumpery lying on the background of the sparkling Christmas tree. hd00:27Close-up New Year's and Christmas decorations in window. Gold balls. hd00:10The glittering toys and gifts for the Christmas tree. Blurred reflection of people walking on the background decorated Christmas tree.